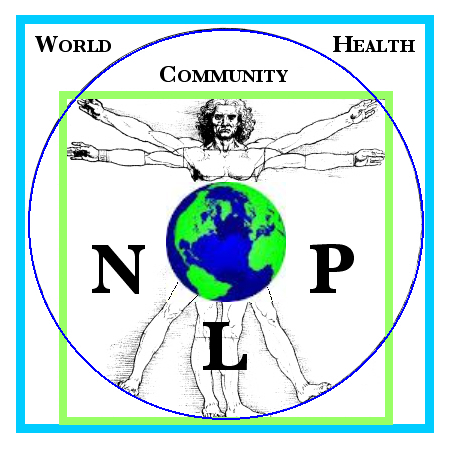 What is the NLP World Health Community? The NLP World Health Community is a diverse group of people united by the fundamental presuppositions of NLP, the mastery of the state of the art tools and skills of NLP and the desire to make a difference in the choices that people have available to them in order to participate in their own health and well-being. The vision of the NLP World Health Community is that of a global network of competent people engaged in many different areas and roles who are consistently contributing to the health and< well being of others. These individuals are committed to using their strengths within their chosen vocations while sharing the common language and models of NLP. 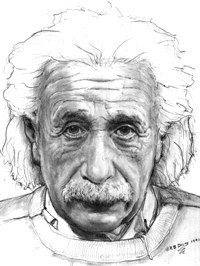 Albert Einstein maintained that "All means prove but a blunt instrument if they have not behind them a living spirit." An important part of the vision of the NLP World Health Community is to help transform the "blunt instruments" of medicine and health into 'tools of the spirit'. The mission of the NLP Health Community is to help create more choices and alternatives for health in the world through the medium of NLP. This will be accomplished by forming a self-organizing and self-evolving network of people who share complementary missions in the area of health and who use NLP technologies and processes as their focal point. Through NLP the members of this community can provide the "how to's," in the form of methodologies, skills and tools, to create shifts in beliefs about what is possible in the arena of health and help people develop the capabilities to mobilize and activate the natural self-healing ability within each person. The strategy of the NLP Health Community is to begin by forming and developing a core group of people who desire to be leaders within the arena of their chosen vocation - "leaders" meaning those who have the commitment and the skill to 'create a world to which people want to belong.' Thus, the leadership within the community will be developed through manifesting the immense range of NLP applications in the area of health and well-being. The structure of the NLP Health Community and the Health Certification Training will be like the structure of the natural healing process itself -- using feedback and creating links to release the energy needed to balance and enrich both the part and the whole. The structure of the community will support multiple levels of involvement. We envision the community unfolding through the establishment of international NLP health centers or institutes which will serve as focal points for the gathering and sharing of resources (such as tapes, books, articles, a computer bulletin board, research and services relating to the applications of NLP in health). The community will offer support and networking opportunities, and establish an international referral network through the Institute for the Advanced Studies of Health, a non-profit organization. The NLP Health Certification Training has been designed to provide the context, the curriculum and the support necessary to master the current state of the art in the appications of NLP technology to health issues. It will provide people with the complete range of skills required to make an impact within the scope of their personal missions (i.e., creativity, learning and leadership as well as health). The certification training will give the opportunity for the supervision and intervision needed to adapt NLP health skills to individual vocations, cultures and contexts. The structure of the training involves a series of four 5-day sessions spread over a year's period of time. It will cover the full range of NLP principles, skills and models available to address many fundamental issues related to health and well-being. Each training session will include demonstration, practice, supervision, intervision and assessment. Structured learning activities will be assigned in between the training sessions to create individual opportunities for special feedback and intervision. The spacing of the four training sessions provides for individual practice as well as the internalization of the NLP health skills within each individual's area of application. Align your personal strengths with your professional capabilities, core beliefs and values, your mission and vision. Interact with other people who have similar missions and an advanced level of NLP skill. Gain mastery of the tools and models in NLP that impact health in powerful ways. Receive high quality feedback from fellow participants, intervisors, trainers. Define the total 'problem space' of health issues. Identify and understand the communications behind symptoms -- both for yourself and others. Learn many ways to approach a physical issue using NLP. Develop the skills to influence beliefs conversationally. Learn how to create an organic flow between yourself and the people you are assisting toward health. Learn to put yourself in states that both resonate with and draw out from another the appropriate "neuro-logical" states for change at the deepest levels. internalize NLP as an ongoing part of your identity. Participate at the ground level in the formation of an organization that can truly make the world a better place. This page and all contents copyright © 2012, 2013 Robert B. Dilts, Santa Cruz, CA. All rights reserved.